Back in October 2013, I was given the privilege by AirAsia to be flown to Manila and watch behind the scenes work of one of AirAsia Foundation's funded project, a very unique & eco-centric community based project aptly named Rags2Riches. 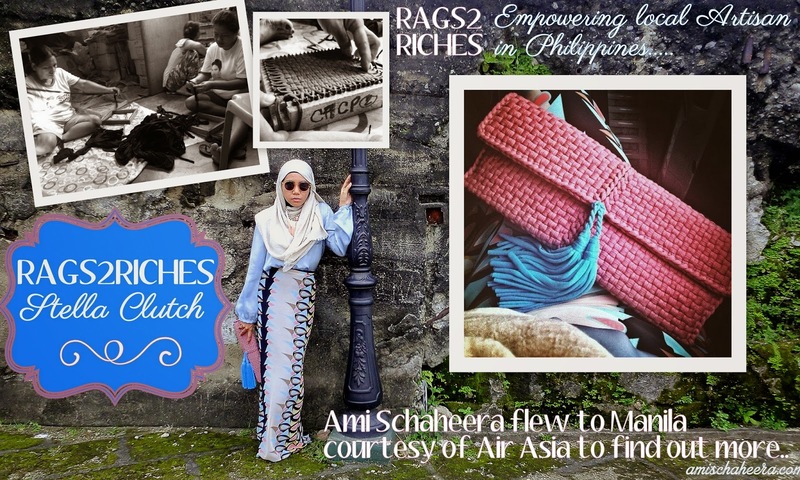 Rags2Riches Inc. is a for-profit social enterprise based in Manila, Philippines, creating eco-ethical fashion and home accessories out of up cycled scrap cloth, organic materials and indigenous fabrics by working with artisans (mostly women) living in the poor communities across Philippines. 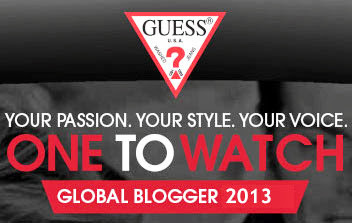 Rags2Riches’ philosophy stands upon its four bottom lines: People, Profit, Planet and Positive Influence. The eco-ethical business model originated in 2007 in Payatas, one of the Philippines’ largest dumpsites and home to half a million people. An informal cottage industry of rug-weavers grew from the many women who developed a means to earn a living by scavenging the waste to find and recycle scrap pieces of fabric so that they could participate in handicraft production like rug and rag weaving, while taking care of their children at home. 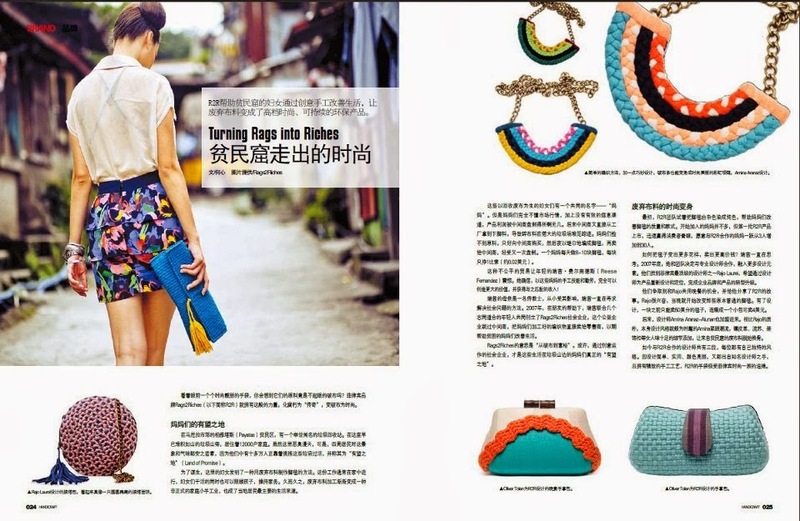 Over time, the industry became exploited by a series of middlemen who controlled both the supply of scrap fabric and the women’s access to the market, which created an unfair value chain for the women who at the end of the day earned only pennies per finished product or less than .20 cents USD per day. 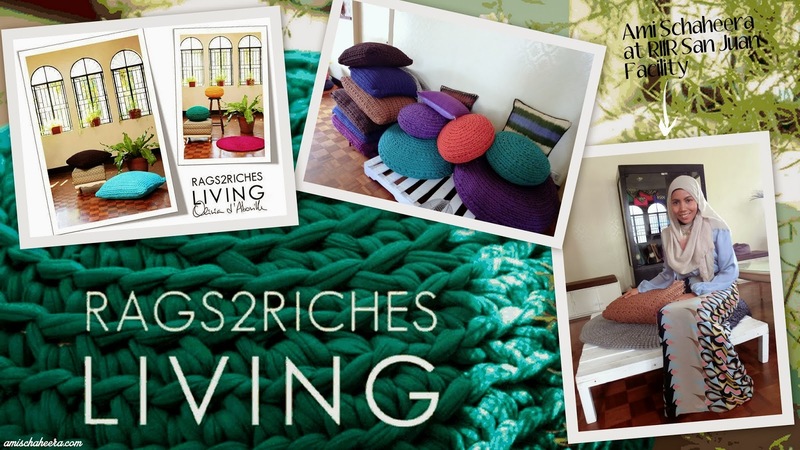 Rags2Riches Inc. was created to provide these artisans with fair access to the market and the formal economy, as well as with additional skills-based, financial and health training so that they can maximize their career potential and take steps towards long-term financial and personal well-being. ♥ An orientation session facilitated by Rags2Riches Inc. artisans to new artisans communities. 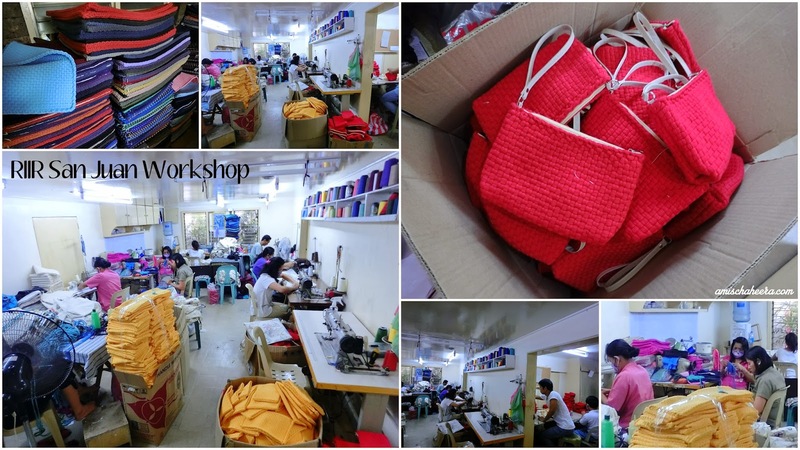 ♥ A workshop to develop current skills and materials of artisan communities so that the new artisans are able to produce high-quality products that can be sold through Rags2Riches and AirAsia's distribution networks. ♥ Integrated training which includes programmes on nutrition and healthcare, and life skills such as financial management. ♥ Opportunity to link up Rags2Riches artisans network and earn regular income as a Rags2Riches weaver. 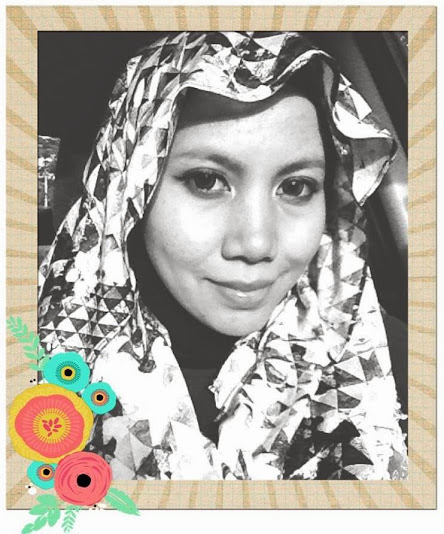 ♥ A field visit to another artisan group for joint product collaboration. With that, in return artisans will have the opportunity to upgrade their skills and gain access to marker which will raise their income earning potential and create opportunities for improvement in their standard of living. 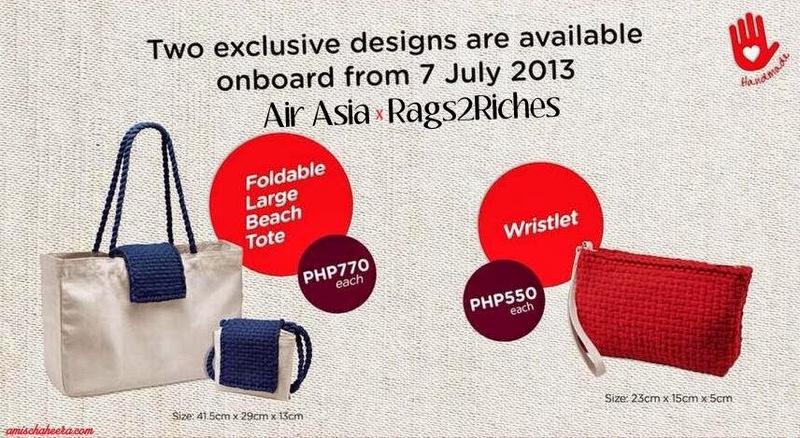 ♥ To share AirAsia ethos of entrepreneurship, equal opportunity & innovation. 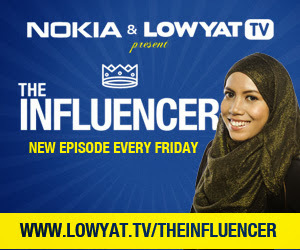 ♥ To empower communities through social entrepreneurship. AirAsia Foundation aims to promote the use of entrepreneurial thinking to address social challenges so that we empower communities and build sustainable livelihoods. Social enterprises are businesses that exist primarily to achieve social goals such as reducing poverty, creating jobs for the underprivileged and preserving traditional skills. What distinguishes social enterprises from 'normal' business is they typically invest their profits into community projects to fulfil their social goals. ♥ Seed funding to new enterprises. 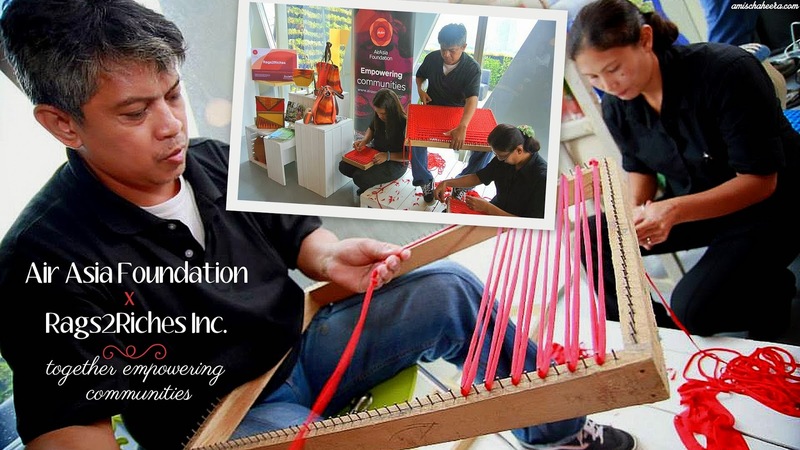 ♥ Funding to help existing social enterprises expand their business. Mentorship by AirAsia Foundation Trustees or relevant industry advisers. 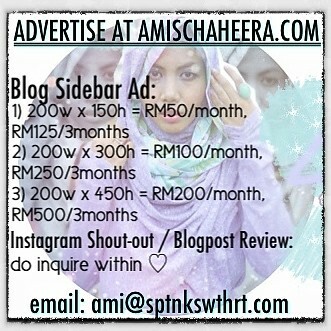 ♥ In-kind support through AirAsia channels including AirAsia Megastore, Travel3Sixty Magazine, Social Media Sites. 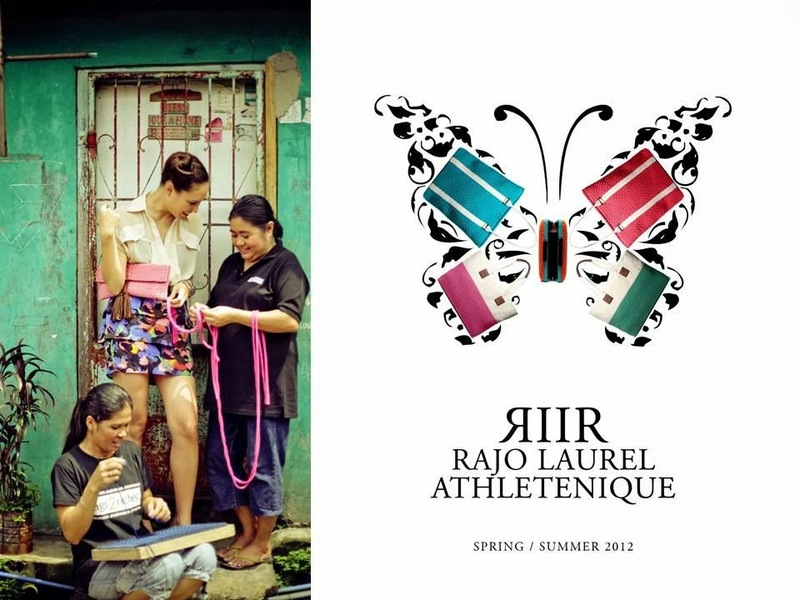 R2R integrated a design solution by partnering with well-known influential fashion designers like Rajo Laurel, Amina Aranaz-Alunan, Olivia d’Aboville and Oliver Tolentino turning scrap materials into fashion handbags. 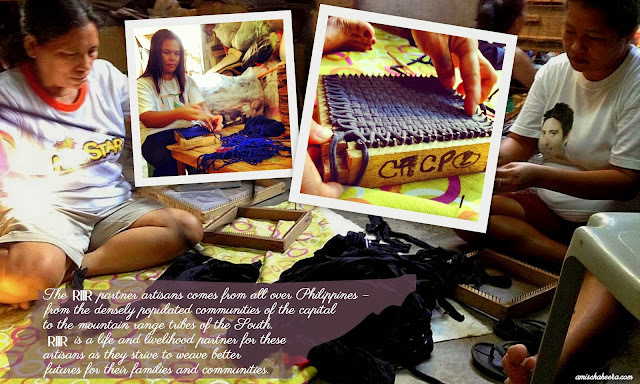 After four years, R2R has already trained 800 artisans across 21 communities in the Metro Manila area and continues to expand its social impact and eco-ethical footprint in the country. 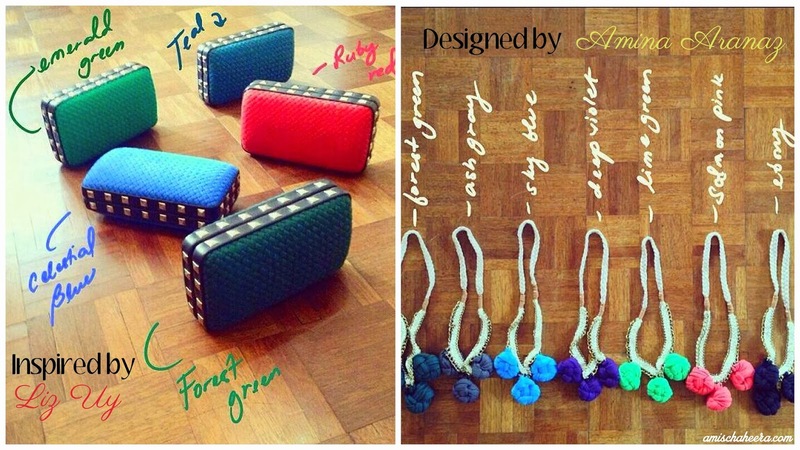 RIIR's PHILOSOPHY: ♥ RIIR is creating a stylish social statement. 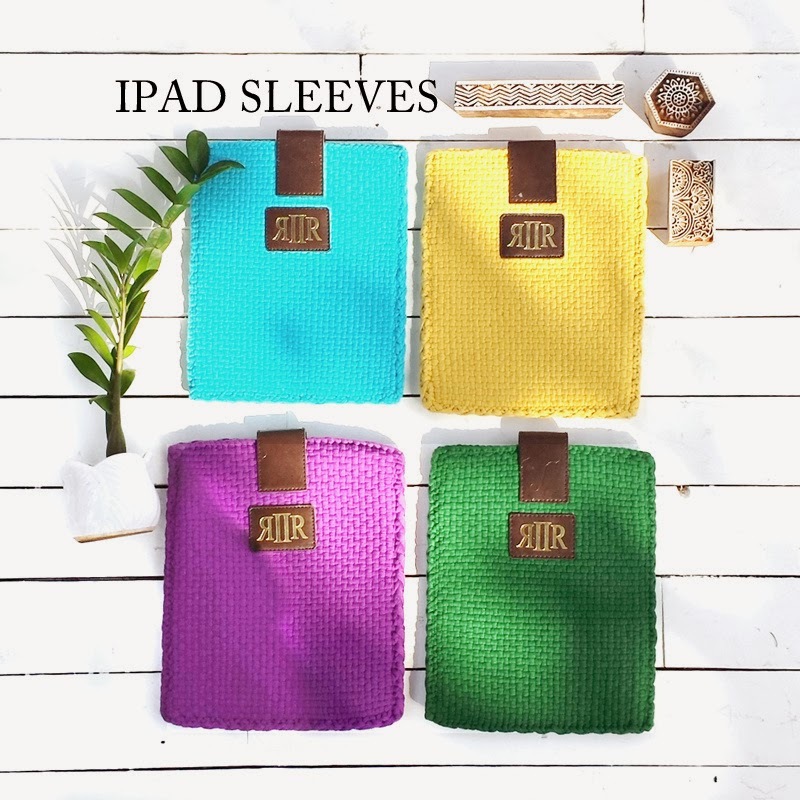 ♥ Through bringing together the best design minds of the world and artisanal hands from all over the 7,107 islands of the Philippines, RIIR creates fashion and home accessories that integrate conscientious design, artisanal skills, and inspiring stories. 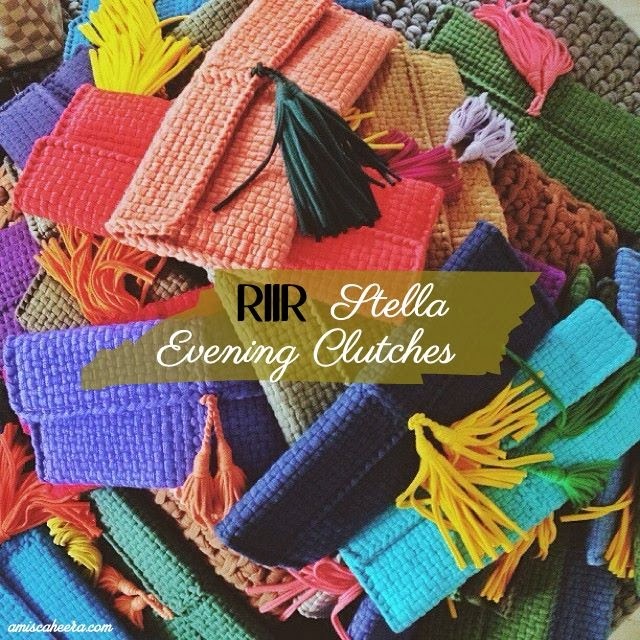 ♥ The RIIR partner artisans come from all over the Philippines – from the densely populated communities of the capital to the mountain range tribes of the South. RIIR is a life and livelihood partner for these artisans as they strive to weave better futures for their families and communities. 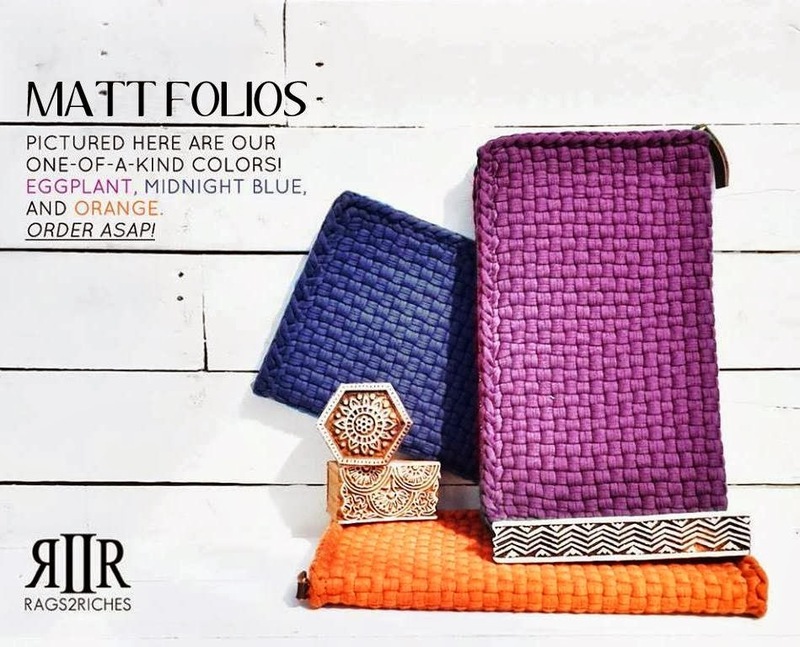 ♥ RIIR believes that each person who touches the product, from raw materials to finished masterpieces, must be dignified, empowered, and enriched. ♥ RIIR pieces fuse timeless silhouettes with a selection of traditional and contemporary artisanal techniques. Each piece illustrates the tactile richness of different handmade textures as well as the artful interpretations of the lives and values of the artisans. ♥ RIIR products are created for those who seek great design and are equally captivated and inspired by the stories they tell. 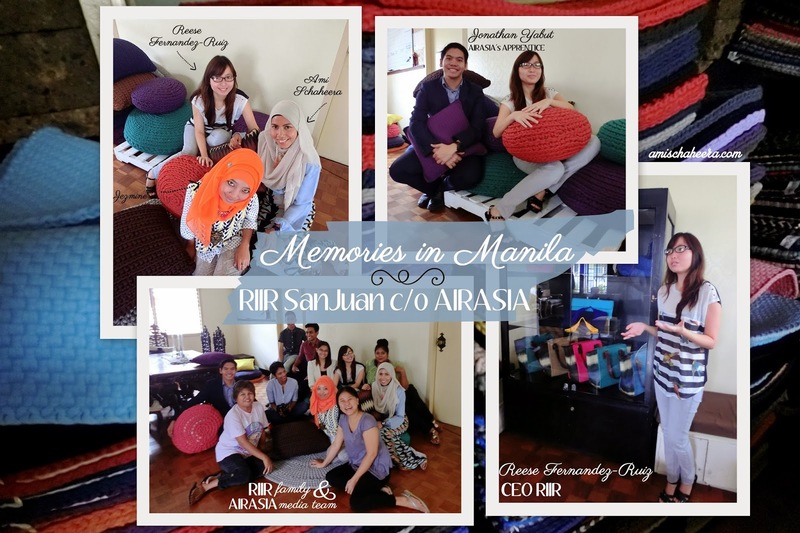 At our visit with the AirAsia & media team to RIIR San Juan Facility, we were honoured to be in the presence of young leading social-entrepreneur Reese Fernandez-Ruiz, the lady who kick-started Rags2Riches Inc at the aim of helping mothers at Payatas, Philippines. She shared with us her story, empathy and vision for RIIR and needless to say after listening to her we were all captivated and enormously inspired by her passion and stand throughout the whole brand. 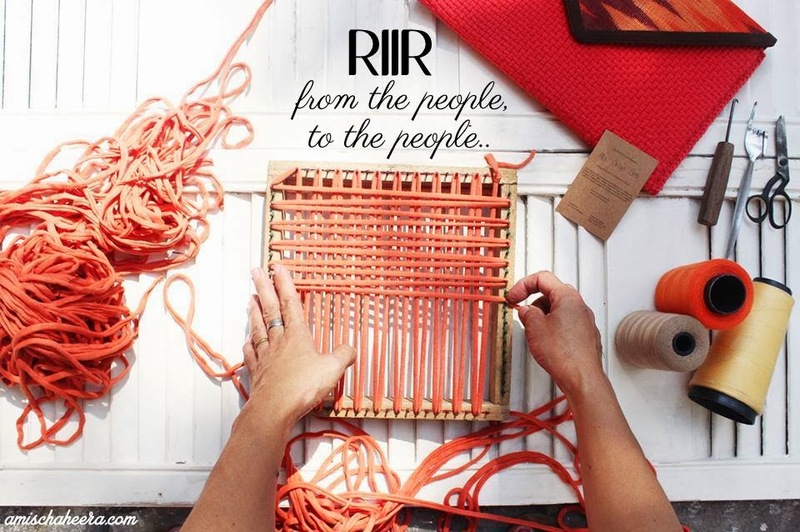 RIIR has not only successfully empowered local artisans through skills, but also manage to create a standard relationship with everyone that they are working with. 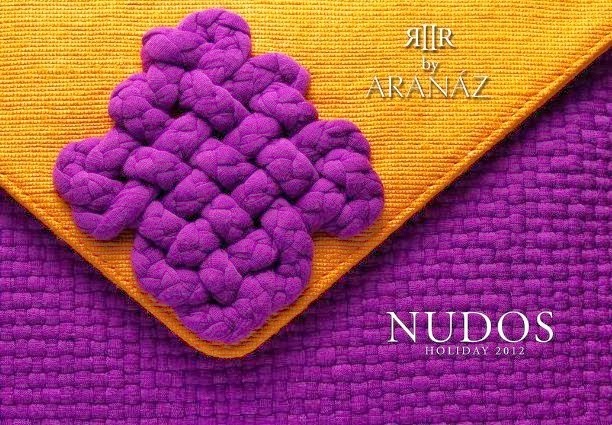 At product launches, artisans get to mingle along with all the designers and celebrities who are connected to RIIR and in this case there is no such thing as double standard, everyone is equal and honored of their good work towards the brand. Through open-mindedness such as this, local artisans who were once timid and felt low self-esteem about themselves feels empowered especially when people from all kinds of background appreciates and praises their handy work. What was once something that has never crossed their mind is now within grasp and has become a reality, often times there are middle people who takes advantage over artisans and pay them measly wages but in RIIR there is no such thing, every single thing is transparent and clear. RIIR even helps these local artisan communities to open up bank accounts so that they can see their savings and save for the future that was once gleam.